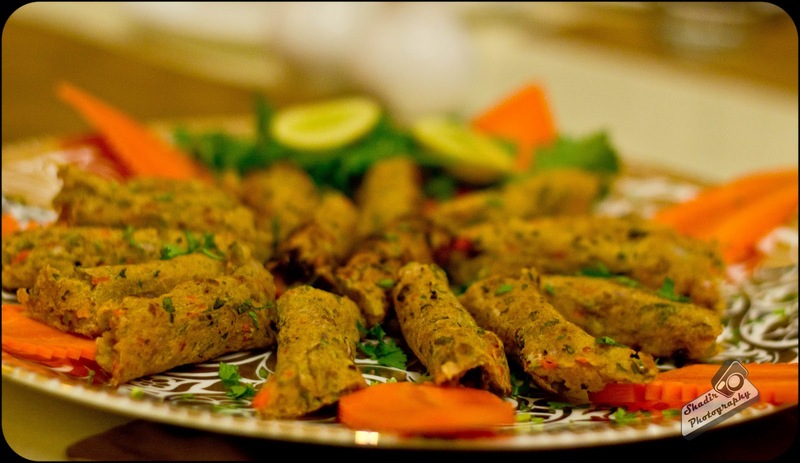 First of all before I start yapping about the food and go gaa gaa over the kebabs, I would like to thank Nishant for having me over for this review and making me a part of Chennai Food Guide(CFG). It was really a great experience for me to be a part of group of reviewers, and also to sit with the founders of CFG. Being an invited review, one of the owners of Jaavaid's, was present over there to give us a real warm welcome. They had us seated in a nice cozy party hall which could seat any where between twelve to fifteen people. They also had a presentation which told us about the rich heritage of Kashmiri cuisine and the kind of food which is usually served in a Kashmiri wedding or a get together. It was a nice informative piece. After asking us our preferences we were served with nice hot Kashmiri style tea with Saffron and Cinnamon known as Kawa. I usually do not like the taste of cinnamon. But somehow I think it worked in this tea. It was really refreshing and also a nice palate cleanser. Since it contains saffron its good for women who are pregnant as well. 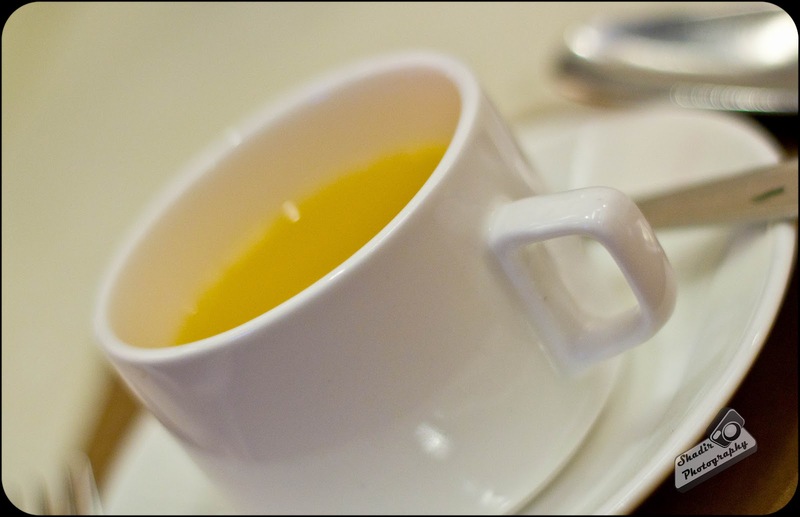 There are chances your baby might be born a bit fairer or a tea lover. After the nice tea, they got us going on the starters. When they said starters, what they meant was more of a stuffing session. They served us with a wide variety of starters. First up we got served with a piece of Timbre. 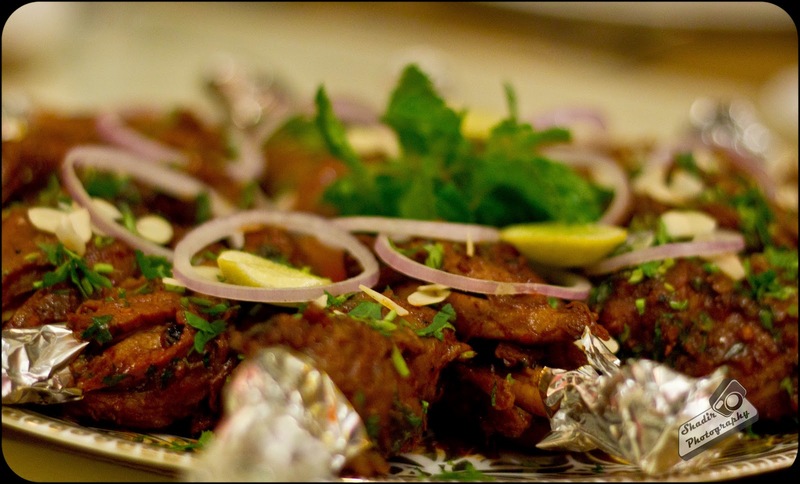 It was really juicy and succulent piece of mutton with a nice dose of spicy masala on top of it. When I say spicy masala it's not the kind of chilly masala you get down here, it was more of a soft lite masala. I am not a huge fan of mutton even in a biriyani, even though I am Muslim. I like chicken and fish better. But this was well prepared and did not have any of the muttony smell to it. Then we were served with a piece of Chicken Charchinaari. It was a light delicate chicken. It was more like tandoori chicken to me, but it was delight to have. After a mutton and a chicken starter we were served with Jaavaid's Special Kebab, and OMG! it IS special.This is the best kebab I have ever had. It was a boneless chicken which was probably marinated in ghee and slow roasted with a dough and spices ( I am just guessing). I even had a second helping of it. If I was to recommend a kebab I would recommend this fan-taste-ic delicacy to anyone who wants my opinion, even if you are a vegetarian, it tastes so dash good. Its worth its title as SPECIAL. 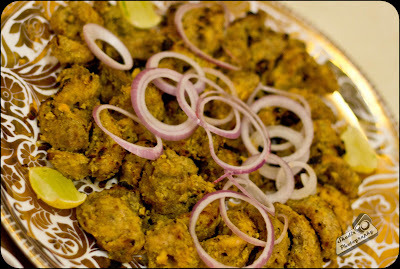 Hats off to chef Jaavaid for inventing such a wonderful dish. After the delectable special chicken we got served with Tabaq Maaz. It's a special mutton dish which is boiled and slow roasted. If you want to give someone a heart attack this is the dish to be given. It's a absolute heavy and fatty dish. It was more like a dish which is served to the royalty. I think, not many people will like it. Its more of a acquired taste.Then we were served with a line of Mutton Kebab, Veg Kebab, Panner Tikka and Raal Mel Talith (last three being veg dishes). After the special chicken I do not think any kebab can come even closer to it. I am not a big fan of Vegetarian food so I really cant comment on it. All in all the starters tasted awesome. After a huge stuffing of the starters I really did not have any space in my stomach for the main course. I wished I can attach another compartment to my stomach like the way we attach external hard disks to our computers. 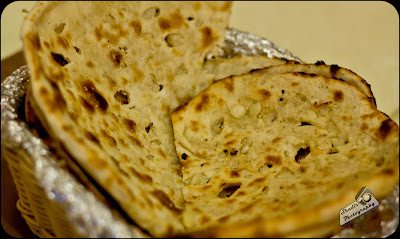 We were served with a variety of Indian Breads. My stomach could only take in a piece of Garlic Naan and Tandoori Paratha. My favorite was clearly the garlic naan. Just loved the way it was prepared with loads of garlic pieces. It was soft smooth and neat. 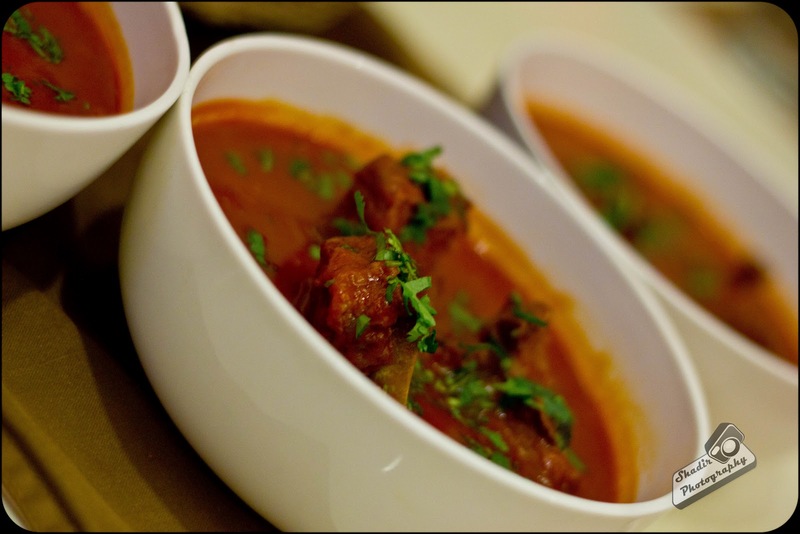 I had it with variety of gravies such as Spicy Chicken, Rogan Josh and Chouk Vangan. Chouk Vangan is an absolute must try if you are a vegetarian and love Eggplants. After trying the breads with a variety of curries, we were served with biriyani. I was expecting to be served with an authentic Kashmiri Biriyani. But we were informed that the Kashmiri biriyani is made with a much thicker and bigger rice grain, which may not be to the liking of many over here. So the restaurant decided to stick to the biriyani which people like the most. 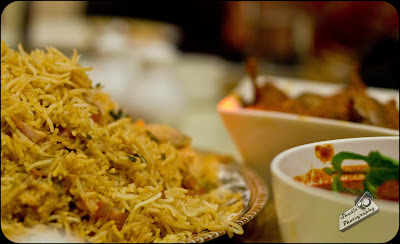 The Chicken biriyani which was served to us was similar to the biriyani which is served in most Muslim restaurants and not like the one which you get in 5star hotels so thats very good. Biriyani tasted awesome with the baingan gravy. But here is a strange combination to try. There is a gravy called Goshtaba. 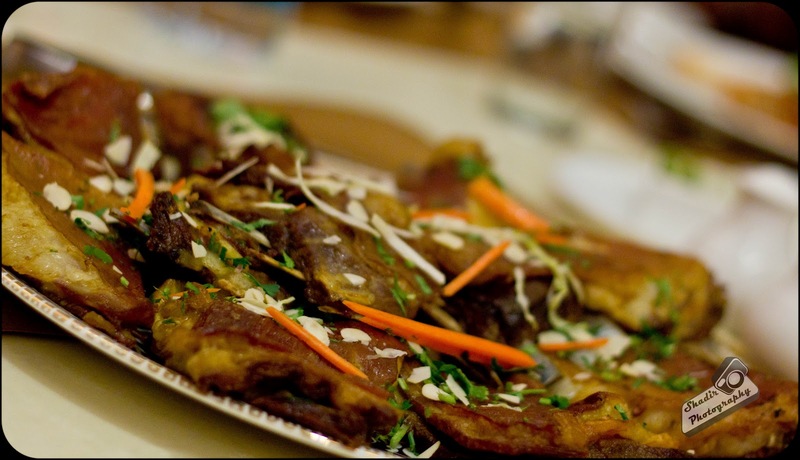 The Goshtaba is a unique dish which is served in Kashmir as a tradition which means thats the end of main course ( aka FULL STOP). 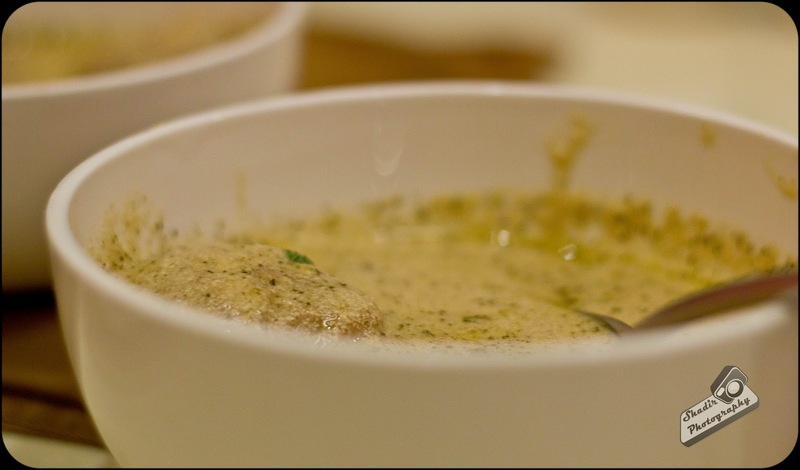 Goshtaba is a mutton dumpling in a yoghurt gravy. The mutton was soft and tender. It had none of the mutton tearing kind of consistency. It's an absolute must try. I also liked the combination of it with the biriyani. After all the heavy load of food which was stuffed into me I looked really full and just did not any more space left in me. I was even contemplating on not trying the deserts. On seeing the deserts arrive I felt as though a flash drive was plugged into me. 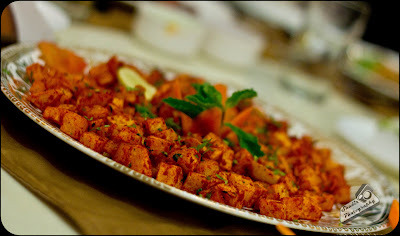 The deserts in Jaavaids are prepared by the Chefs wife. OMG again!! They deserve a big thank you. The deserts are a delight to have. They tasted like a bit of Heaven. If I am in the mood for Indian deserts I now know the place to go. 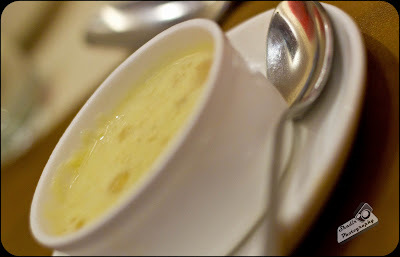 I began eating the deserts by tasting the Phirni, then the Badam sweet. The badman sweet is kind of like Dum-Ka-Root as the local people know it, then the mother of all the deserts, Badam Kheer. Badam Kheer is an another must have dish here. I infact had two of it. After eating all the food I could bearly standup. Then I met the man behind the simply amazing food served here. He was very simple and humble. Hats off to the Chef Jaavaid. 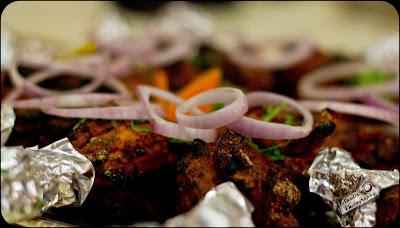 Jaavaids Kababs and Kurries is a really nice place if you are in the mood for something different. It's not a place where you get North Indian cuisine. Don't get confused about that. It is purely a Kashmiri Restaurant. The food is nice over here, very comforting. The food here is more like the food you have in a Muslim wedding, very rich, heavy and awesome. Even though the food was great, the ambiance in the restaurant left me wanting for more. The price paid here is just a mark lesser than that we pay at a place where you are given a fine dining experience. So you would expect more of the ambiance too. Leaving that aside the food is brilliant which is just my experience. I even felt like finding myself a Kashmiri girl. 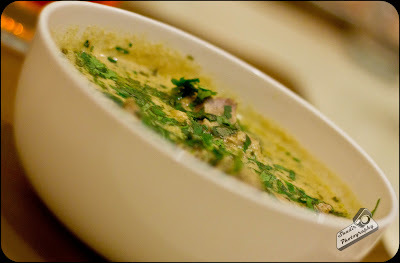 The food had just got me floored all over hankering for all things Kashmiri. Jaavaids Kebabs and Kurries is located in Khader Nawaz Khan Road in between Tommy Hilfiger and Wills Life Style. They do have another entrance in Wallace Road next to Harley Davidson.